The photo above appeared with The Economist article titled, “Why universities for the elderly are booming in China.” But there’s more to meet the eye . . .
SEVERAL times a year, groups of silver-haired Chinese people camp out overnight. They do so in order to get prime spots to register for places at the country’s universities for the elderly. Since 1983, when China’s first such school opened, 70,000 more have cropped up across the country. They offer courses in pursuits like dancing, online shopping or English for would-be-travelers, as well as in more traditional academic disciplines. Last year these universities enrolled a combined 8 million students—just over 3% of China’s cohort of over-60s. 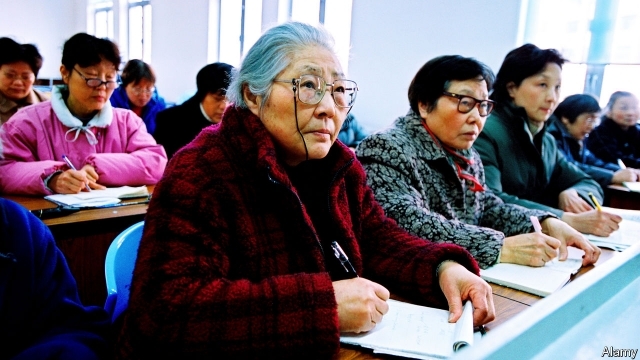 At the Shanghai University for the Elderly, the average age of students is 65-70. Generally, these observations from The Economist Magazine also apply to much of the rest of the world including Senior College in Augusta. For travel, we often offer French and Spanish, not English nor Chinese (yet). We’re not as crowded, so you won’t have to camp out overnight to get a good course. But we are part of the same worldwide movement of relaxed, but serious adult education. We’re one of 17 Senior colleges in Maine (your registration with us gets you into their classes and vice a versa) and this Spring we’ll offer more classes than ever before. The Economist article suggests that the current popularity of senior colleges began in France in 1973, with the University of the Third Age movement “whose aims are the education and stimulation of mainly retired members of the community—those in their third ‘age’ of life. It is commonly referred to as U3A”(1) and popular to this day. 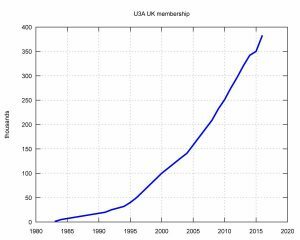 See growth chart for England below. “In the fall of 2000, the Foundation began to consider programs targeted toward more mature students not necessarily well served by standard continuing education curricula. Courses often attract students of all ages eager to accumulate units to complete degrees or to acquire specific job skills. 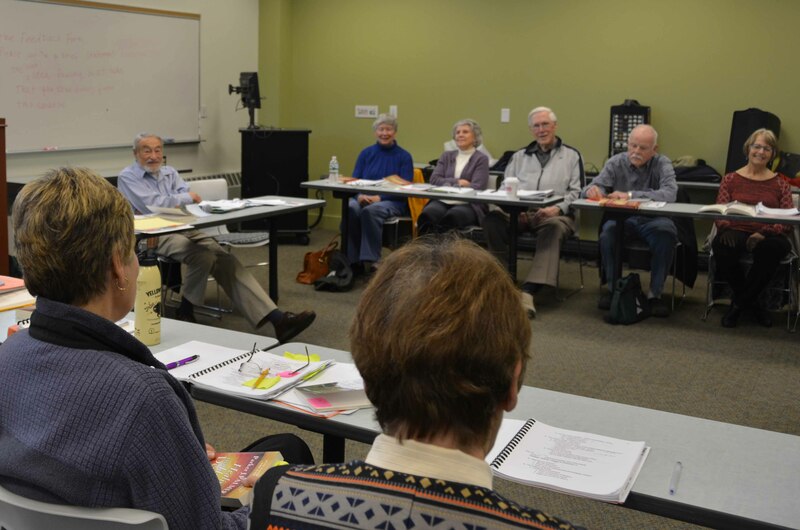 By contrast, the interest of many older adults, especially those who have retired, is in learning for the joy of learning – without examinations or grades – and keeping in touch with a larger world. “The Foundation was fortunate to have two immediate examples of successful lifelong learning programs to inform its deliberations. One was the Fromm Institute of Lifelong Learning at the University of San Francisco; the second was Senior College at the University of Southern Maine in Portland. If you’d like to be part of this movement, sign up for a class. After a few sessions, you might be walking back to your car through the cafeteria, notice some classmates and join them for a cup of coffee. There are studies that show we make our life long friends in college. But who needs studies? As this story continues, we’ll talk to a young man who was participating in activities at Senior College at the University of Southern Maine (Portland) in the late 1990’s, before the college received their grant and changed their name, Charles Acker.